"It is paradoxical, yet true, to say, that the more we know, the more ignorant we become in the absolute sense, for it is only through enlightenment that we become conscious of our limitations. Precisely one of the most gratifying results of intellectual evolution is the continuous opening up of new and greater prospects." The Best Materials, Components & Processes. Hutchens Industries, Inc. is a leader in the design and manufacturing of leaf spring suspensions and sliding subframes for the Intermodal industry. Rolliant™: An affordable hub system with a worry free installation and the industry’s only 10 year warranty. FT-REX Sealed when it counts – Replaceable Pre-cut push rods –Stainless steel clevis pins – Superior corrosion protection. Fit with Phillips Uptime air and electrical package. Offering a limited lifetime warranty on lights and harnesses. Reset your ECU during federal inspection without moving your chassis. 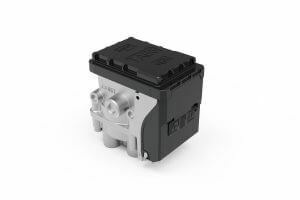 The Bendix TABS-6 2S/1M System intelligently assigns braking power in every road condition with our Advanced Select Smart Control. Holland 55,000 lbs capacity, 2-speed 17″ travel, low profile sand shoe. We source our components from the best in the industry. Our KTL Paint Process is light years ahead of the competition. The perfect weld job, on every chassis. Our chassis will last longer and move more loads. Material: High strength GR50 & GR80 steel. Painting: E-coat primer (minimum 25μm) and Powder coating topcoat (minimum 75μm). Main Beam: W12 @ 22lb/ft hot-rolled H-beam. Crossmember: Fabricated channel type not less than 3/16″ thick. Upper Coupler: 5/16″ thick with 2″ dia. drain holes, reinforced by 1/4″ thick channel type kingpin supporters. Holland 2″ AAR certificated kingpin. at the top to provide a container gather in a stevedoring operation. Center Bolster: 5-7/8″wide x 3/8″thick top plate with 5″wide x 5″deep x 5/16″thick “U” type bottom channel. Rear Bolster: 8” wide x 3/8” thick top plate with 7” wide x 7” deep x 1/4” thick “U” type bottom channel. 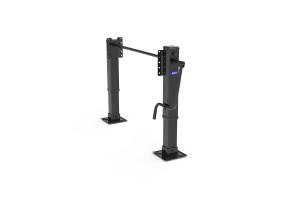 Rear Bumper: 4″ x 4″ square type step bar supported by H type posts. middle bolster and two (2) Buffers1207 twist locks on rear bolster. Landing Gear: Holland 55,000 lbs capacity,2-speed 17″ travel, low profile sand shoe. 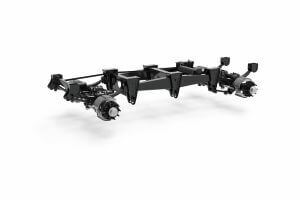 Suspension: Holland 109″ axle spread mechanism suspension w/ spring 354-00. Axles: Holland 5.75″ round axles with 23,000 lb beam rating, 71-1/2″ track, Stemco Pro-Torq Nut. Abex 3030-197 brake lining, TSE 5.5″ automatic slack adjusters. 16-1/2″ x 7″ Q Brake. Lubricant: SKF seal, Mobilith SHC 007 synthetic grease lubricant with metal hubcap. Hub & Drum: 10 stud hub piloted hubs with outboard mounting cast steel drum. Rims: Alcoa 22.5 x 8.25 hub-piloted aluminum rims. Tires: Westlake, 295/75R22.5 tubeless, 14 ply, CR915. 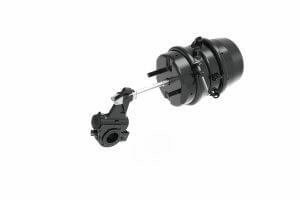 Brake System: Bendix 2S/1M ABS brake system, spring brake priority. Phillips 12-0081/12-0061 gladhand, TSE ULP 3030 2.5″ stroke brake chamber. Electrical: Truck-Lite 12 volt LED lighting system with Phillips modular wiring harness with Lite-Sentry. Connectors for GPS and PSI are available in the harness. Theftproof design used for 4” LED lighting. 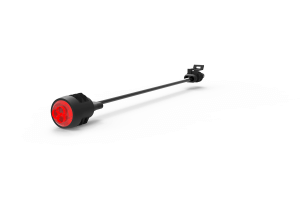 TIS: PSI tire inflation system, with LED indicator lamp. With Thermo-Alert. 24″ X 30″ Black rubber mud flap with CIE logo.